The hottest topics that everyone is talking about right now are Artificial Intelligence (AI) and Machine Learning (ML), and often seem to be mysterious terms for many people. AI and Machine learning are not quite the same, but since the majority of new trends in technology are using these terms can sometimes lead to some confusion. In this article, I thought it would be worth writing topic to explain the difference. 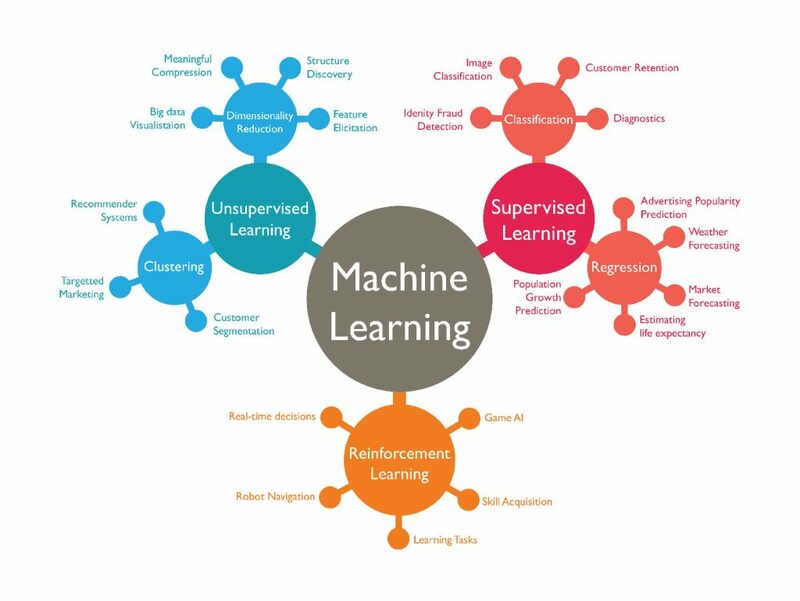 Since Big Data, analytics, IoT and many other waves of technology are hugely investing in enhancing the Machine Learning, I had so many questions about what it means? and why it is getting bigger and bigger every day? The short answer for that is: “Machine Learning is an advanced application of AI based on the concept that we shouldn’t only automate the data but to let the machines learn for themselves”. Now, what is AI? “Artificial Intelligence AI is considered as automation, it is the broader concept of machines being able to access data and carry out tasks in a way that we would consider smart”. Artificial Intelligence has been around for a long time already, the idea started since the Greek myths contain stories of mechanical men designed to mimic our own actions. 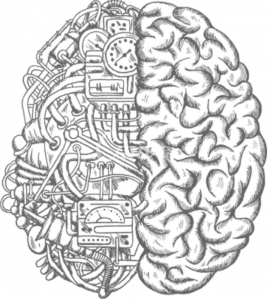 In modern times and after the rise of computers technology, software engineers started to move from complex calculations towards creating mechanical brains. The field of AI concentrated on mimicking human decision making processes and accomplishing tasks intelligently and more efficient. Devices designed to use AI are often classified into one of two groups which are applied or general. Applied AI is currently more common in our daily life such as manufactories, stocks trading, autopilot systems and more. While general AIs systems can, in theory, handle different tasks or let’s say it is less common tasks. It is also the area that has led to the development of Machine Learning. AI is already in use in a myriad of digital marketing use cases. From analytic tools, to search engine optimization, to Google AdWords to content curation, to email marketing, to marketing automation platforms, different tools are already being used as fundamentally in digital marketing sphere. Those tools are not only to make human marketers’ lives easier but to get do the tasks in more responsive and cost-effective ways. When processes are optimized and made faster by technology, not only can businesses achieve better conversions, but marketers also have more time freed up for strategic thinking, campaign design, and data analysis when they aren’t bogged down with more basic tasks. The Machine Learning has been shaped by two important factors: Arthur Samuel in 1959 released the concept of “Instead of teaching computers all what they need to know to carry out tasks, why we don’t teach it to learn for themselves”. Later on, the internet took control with a huge increase in the amount data being generated and stored, providing the second breakthrough for machine learning. The urge for more advanced solutions to handle the data floods was increasing rapidly. Apparently, engineers realized that it is far more efficient to code machines to think like human beings, and then plug them into the internet to give them access to all of the information in the world. The development of neural networks was the key to start teaching machines to think while retaining the innate advantages they hold over us such as efficiency, processing speed, and lack of bias. So what are neural networks? It is a computer system designed to classify the information in the same way as our brain does. These networks can be programmed to recognize complex things such as images or voices and classify them accordingly. This coding works on a system of probability based on data fed to it. The neural networks are able to generate statements, decisions or even predictions with a degree of certainty. The magical step for those systems is the addition of a feedback loop which enables “learning” or customization of the experience. Tech giants such as Facebook, Google, Amazon, and many more, started to take advantage of machine learning to not just enhance their products but get it more advanced. Machine learning now is controlling your Facebook feeds, search engine results, Netflix recommendations, display advertising and Email spam filters. Furthermore, another field of AI called, Natural Language Processing (NLP) has become a source of hugely exciting innovation in the last few years, and one which is heavily reliant on ML. NLP applications attempt to understand natural human communication and able to respond. This technology currently has one of the biggest competitions in products such as Google Home and Amazon Alexa. The term Machine Learning certainly gives marketing teams a shiny and attractive language to impress. The big players in digital advertising are pushing aggressively on increasing advertisers budget by developing a programmatic bidding with ML. I believe the game is not that sufficient yet for many reasons, programmatic learning for platforms such as Facebook advertising and DoubleClick is still full of gaps and not doesn’t serve will with smaller budget advertisers. The machine learning is still on the producer side and heavily serving it is objectives. Although the Facebook algorithm is so advanced and presents a great value for digital marketers but yet the efficiency is not perfect in many cases. Marketing automation and analytic platforms are still far behind when it comes to machine learning. There is still a long road to go with machine learning capabilities that can hugely shift the digital marketing once and forever. In my next article, I will investigate more in the case of machine learning for marketing and another trending buzzword – deep learning. I hope this piece has helped a few people understand the distinction between AI and ML.